You can only run a regular and Motion Analysis workout at the same time by using a separate Connect and iPad. You can log into TritonWear Live using the same coach account on both iPads. 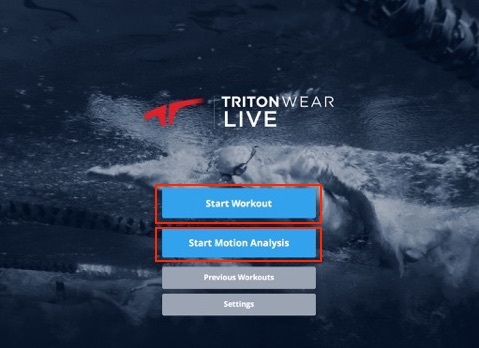 Log into TritonWear Live on both iPads. You can be logged in as the same coach on both. On the 1st iPad, select Start Workout. On the 2nd iPad, select Start Motion Analysis. Turn on both Triton Connects and select one Connect per iPad. Learn more about recording a Motion Analysis workout here.